When I stumbled across Muse Retreats on Instagram I was immediately intrigued and when I explored further I absolutely fell in love with the concept. 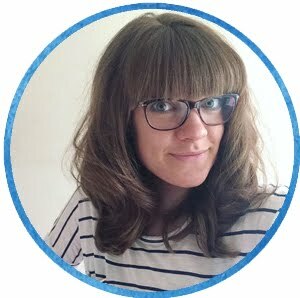 Just like founder Shirley, I have struggled with the feeling of loosing my creative self and the idea of receiving a box each month which prompted a creative experience and also encouraged me to actually set aside the time to complete it sounded perfect! If you’d like to read the interview before you delve into the review, you can find it here. Inside the letter box friendly package (it even went through our smaller than average one) was everything required for a fully immersive creative retreat, wrapped up in tissue and carefully personalised which was a lovely touch! There are step by step instructions on how to complete the retreat, and each box begins with The Muse News, newsletter. This is folded into its very own pocket on the lid and is full of inspiration from Shirley, a run-down of the enclosed contents, a few future plants and some information about The Woodland Trust which receives 25p from the sale of each of this months boxes. There is also a 'Creative Space' inspiration card, designed to be carried as a little reminder to give yourself the time and space to be creative. In the background you can also see a rolled up scroll which contains a 'declaration to yourself.' This is designed to be signed and stuck into your journal, put on display or otherwise kept close to further remind you of these creative promises. Also, the act of signing something definitely makes it more concrete and lots of research has been done into how writing down our goals makes us more likely to achieve them. I've signed mine and taped it to the inside cover of my journal! As I said, this is a fully immersive retreat, and the box also contained three gorgeous Pukka 'Love' teabags and a little Rasperry Ruffle bar. I haven't seem one before, but it's sort of like a dark chocolate, raspberry flavoured Bounty! 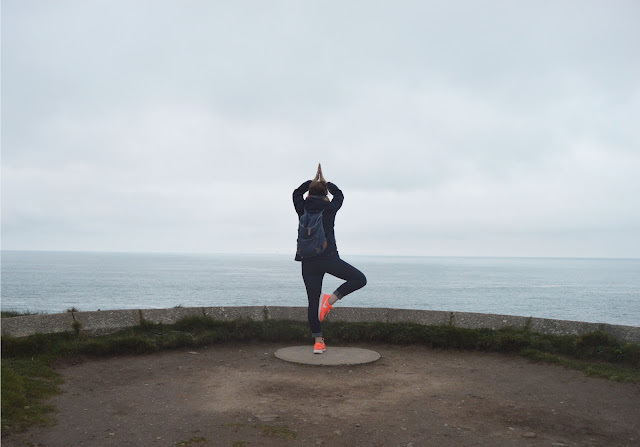 So, before I opened the gold envelope and started following the instructions for the 'Creative Space' themed retreat, I decided to make it a bit of a ritual. I made a mug of the tea, put away my phone and my laptop and tried to really be present. The envelope contains a retreat invitation, a proper invitation printed on textured card and folded as though it was for a snazzy party or wedding which really helped the retreat to feel like an event. If I had one small piece of constructive criticism about the whole box, it would be the green paper wrapped around the invitation and the green label on the gift you can see in the background. This may just be me being super pernickety, but the rest of the box feels so well co-ordinated with everything in shades of burgundy, pink and gold, and the green just seemed to stick out a little to me. The retreat is in four parts - Preparation, Retreat, Reflection and Further Exploration. As this month theme is Creative Space, it focuses on exploring your home and looking at it from a creative perspective. The 'Preparation' requires you to physically move around your home and question what creative space you have available, do you use it effectively, and something that I found very interesting, the question of how you store and care for your craft/making supplies. Now, onto the 'Retreat'. The first instruction was to list at least ten things I have ever created that I've been proud of. I found this really interesting as not only did it make me realise that I create all the time (which will be a really helpful feeling to return to when I feel like I'm drowning) but also that the ten things that came to mind weren't necessarily the ones I would have expected. Many were smaller, seemingly insignificant things that I'd almost forgotten about before asking myself this question. The second instruction was to spend some time creating a 'Muse Shrine' - a small corner of the house, perhaps a shelf or a windowsill that is dedicated to my creativity. After writing my list I sat for a while, pondering the things I'd noticed during my sweep of the house and doodling on the cover of my journal. I realised that although we feel more at home here than we ever did in our previous house, we are still sort of living alongside all our things in someone else's space. Our bedroom was where I felt this most so my retreat ended up spanning most of the afternoon (during which I consumed all the tea!) as I ended up re-jigging our bedroom to give myself a proper dressing table area which is also where my retreat sits, a small wooden tray containing some objects that I will see every morning and which will remind me how important time for my creative self really is. It feels appropriate to have it right where I will get ready every morning so I will will hopefully begin each day in the right frame of mind! It's not quite finished yet because I need to look for a few items, so I may share it when it is, or I might just keep it for me, I'm still undecided! Then I moved onto the 'Reflection' which I loved because one of my guilty pleasures is answering questions and filling out forms! Something I learned from the walk around my home was that I really need a better way of dealing my magazines! I love them, I want to keep them all and I find them really inspiring. I tend to take them with me to bed, into the bath and flick through one over breakfast which means there are often random piles of magazines all over the house. Either that or I tidy them away into the bookcase or (rather full) magazine rack in the living room and they get forgotten. Sometimes this is a good thing because I then re-discover them and remember those bits I meant to research further or a recipe I had intended to make. More often than not though I just forget about these things and I just have a papery graveyard on my hands! So, 'a better way to deal with magazines' is now on the to do list! I've got a few ideas and a tutorial or two up my sleeve, but the general feeling is that I want to cherish my collection a little more. The further exploration part of the retreat is great too, my ideas and inspirations are always changing so it makes sense that my shrine would change too. Also, I've already read two of the suggested books (Big Magic and The Life Changing Magic of Tidying) so will definitely be getting a copy of Sacred Space, especially as we're on a bit of a decorating kick at the moment! After my retreat was complete, thoughts and feelings journaled and tea and chocolate enjoyed, I opened my gift. 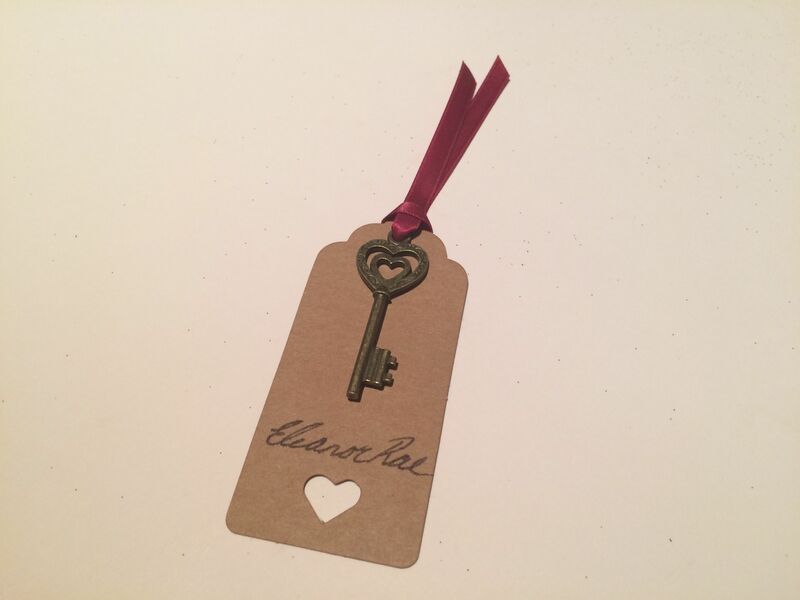 A little key charm on a personalised card to serve as a reminder that I have the power to unlock my creativity at any point! I've added it to my dressing table drawer so I see it every morning. Just as I expected, the first Muse Retreats box was fantastic. Perfectly pitched, making the power of creativity feel genuinely real and important, but without being too preachy or over-the-top spiritual. The scope for extending the retreat experience beyond the time taken to comply the suggested tasks, along with the addition of quality tea, some really special items to treasure and Shirley's carefully considered words printed environmentally friendly paper makes it a subscription box like no other. Although Shirley sent me this box to review free of charge, I would definitely subscribe for myself in future. If you'd like to go on your own creative retreat from the comfort of your own home, you can buy a one off box for £15, or subscribe for £12 per month. 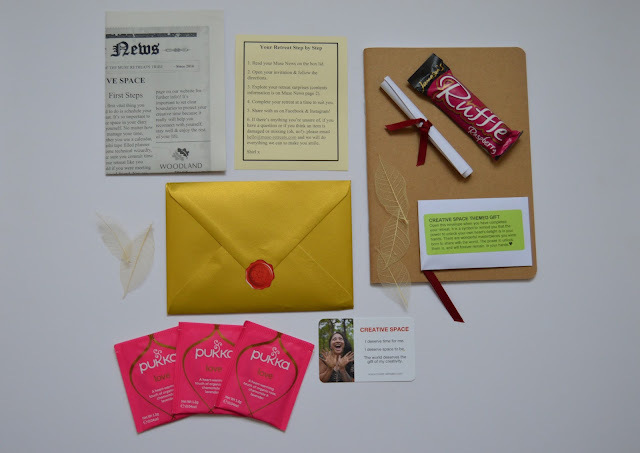 Visit the Muse Retreats shop to find out more and to sign up! The next box will be posted out on the 21st of this month, and October's theme is "True Colours". I will very gratefully be receiving October's box to review so if you're still undecided, stay tuned for the True Colours box review which will be posted as soon as I've explored it!